Jennie Valles, M.D. currently serves as an attending neurologist in Burke Rehabilitation Hospital’s brain injury program. Dr. Valles began her tenure at Burke in 2014 as a fellow in the Neurorehabilitation Fellowship Program, a two-year fellowship program that trains physicians in the sub-acute and long-term care of patients with neurological disorders. As a fellow, she served as the principal investigator for a clinical trial that examined the use of non-invasive brain stimulation for post-stroke aphasia. She also studied at Weill Cornell Medical College to obtain an Advanced Certificate in Clinical and Translational Investigation. 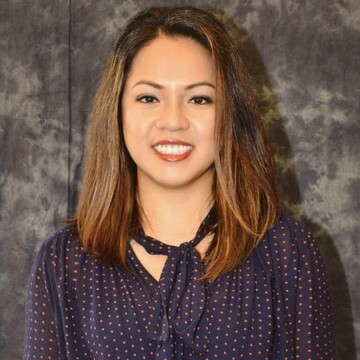 Before beginning her fellowship at Burke, Dr. Valles completed her neurology residency at New York Medical College at Westchester Medical Center in Valhalla, NY, where she also served as chief resident. She is a member of the American Society of Neurorehabilitation and the American Academy of Neurology. Dr. Valles has lectured on a number of topics related to neurorehabiliation, including stroke rehabilitation and medical complications of spinal cord injury. She has also given a number of talks about language disorders after stroke. Dr. Valles received her medical degree from the American University of the Caribbean in St. Maarten and her bachelor’s degree at the University of North Florida in Jacksonville.